Ron Viejo de Caldas Industria Licorera De Caldas. Try it next to the Bacardi 8 – then pour the Bacardi down the sink. Notes: Yes, I know, who ever really heard about Colombia rum before? O.K. those of you who have probably don’t have a good opinion of it. Just about every rum that has been imported to this country from Columbia was to put it nicely a bargain rum that was sold in liquor stores that had more security than most banks if you follow my drift. That may change with this new rum which comes from the other end of the spectrum in terms of quality, but thankfully not price. This is premium rum in which the age, quality, and price are outstanding. None of the usual rum rules seem to apply to this product – not made from molasses like many, not a blend like most, and like a very few, aged in a colder high altitude for over 8 years and like almost none other, bottled as a single vintage. Appearance: Deep red/orange, or patinated bronze. Bright almost sparkling appearance, clear with no hazing separation or floating sediments. Thin but nicely oily edgeline / meniscus with with thin legs terminating in droplets on swirling. First Impression: Slightly sweetish, lots of dried dark fruit notes , raisins, citrus, longons, rambutans, with a good dose of spice cinnamon, nutmeg, mace, allspice, spice and flowers, buttery nuts (macadamia, hazelnuts, etc.) with hints of old leather and a vague whiff of pipe tobacco. Taste: Spicy, slightly sweetish then drying entry, citrus both fresh and dried dark fruits , dried plums and figs, almost a pemmican or subdued fruitcake mixed with something almost meat likein intensity. Quite complex and subtle more like a ggod brandy than a rum as we know them today. Drinks: Works well for the classic older style (read non-umbrella) drinks.Similar to many other anejo rums out there (particularly the Venezuelan or Guatemalan) in terms of overall style/flavor profile but besting many of them. A great choice for drinks calling for a heavy or dark rum as it is far superior to many dark rums such as Pussers or Myers in that it has a lot of heavy presence but is not sweetened and colored to death. Cigars: A better cigar is called for here- like a Avo, or Davidoff, Cameroon wrapper. Final Thoughts: This rum is closest to a number of extinct rums that were aged, subtle, complex and not sweetened, colored, and dumbed down. Also a much more subtle and flavorful rum than its younger siblings with a very attractive price. 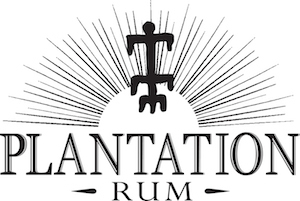 This rum is becoming of our favorites especially for a dark rum that is not a saccharine sweet one. A excellent, complex yet honest dark rum as it was meant to be- not some doped up slop for the tourists. Complex, subtle and well made, and at a price that blows away the competition. 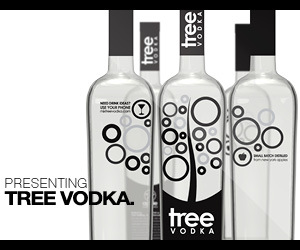 Try it next to the Bacardi 8 – then pour the Bacardi down the sink.